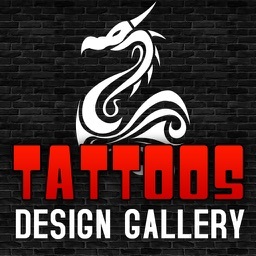 Tattoo Designer helps you to make the final decision on what tattoos you want and where you want them!!! Our tattoos can be under your clothes, and show outstanding under your body. They are beautiful and very realistic. Pimp your Instagram feed with artist tattoos. Get more IG Likes, IG Comments, and IG Followers. • Load or take a photo. • Add tattoo on it. 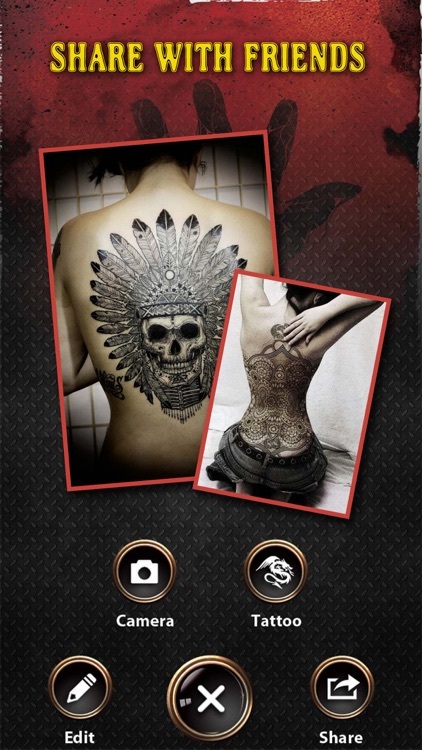 • Drag your text or tattoo around the photo (rotate, move and scale). 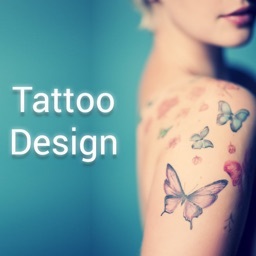 • Choose from different designer tattoos. • Choose from different designer fonts and colours. • Add your own photo. • Add tattoo to your photos. • Add text captions to your photos. 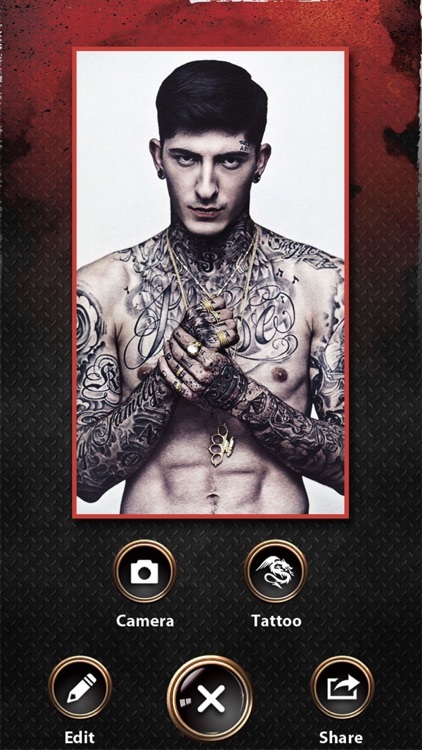 • Resize your tattoo or text to the perfect scale. 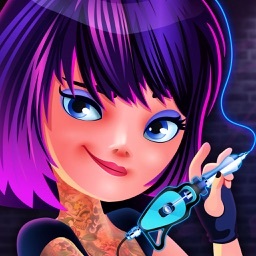 • Move your tattoo or text around the image to find the perfect position. • Choose from 30+ pre-installed designer fonts. 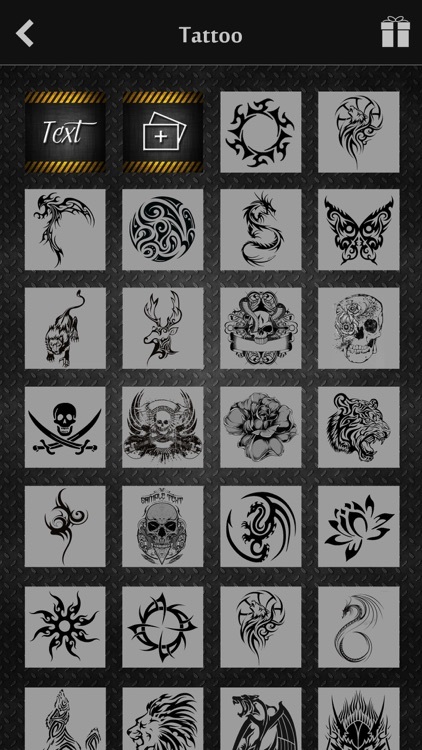 • Choose from 80+ pre-installed designer tattoos. • Instant sharing and posting.